Book Blogger Confessions is a meme that posts the 1st and 3rd Monday of every month, where book bloggers "confess" and vent about topics that are unique to us. Feel free to share, vent and offer solutions. Just keep it respectful - no bashing authors or other bloggers! If you want to participate just grab our button and include it in your post with a link to either Tiger's All Consuming Media or For What It's Worth. We will be providing a linky at the end of our posts so people can "hop" to see all the participants answers. Also feel free to offer suggestions for future Book Blogger Confession topics. Do you have a review request policy? Has it changed over time? I do have a review policy and I update it every few months. I have narrowed the genres that I accept and I no longer guarantee a review after accepting the book. I have also added that I might not be able to read or review the book for up to 2 months. How do you handle requests that don’t meet your criteria? If the author obviously hasn't read my review policy or sends a mass email request with multiple spelling errors or gets my blog name wrong I don't always email a response or I politely decline. Otherwise I try to respond to each request. I sort requests. I decline if it's not a book I would be interested in now or in the future. If a review request sounds interesting but I don't have time to read/review at that time, I let the author know that I may have an opening in the near future and I have a folder for those requests to get back to them. In the past, what types of "pitches" have caught your attention? Are there any (non-specific) examples of requests that are off-putting to you as a blogger? -A clear, simple request explaining a little about the author, the book and any author links. Something that shows you've read a few of my reviews to understand my likes/dislikes always helps. I like links to Amazon and Goodreads to see what others are saying but neither good or bad reviews are a deciding factor in my decision. - Hearing about an authors personal life. Unless the book is autobiographical and it pertains directly to the story I don’t like knowing an authors personal details or real life struggles. I may empathize with the authors situation but I'm even less likely to accept the request for fear of offending them with a potentially negative review. (This is the biggest request faux pas IMO - the author seems too emotional and it makes the professional blogger/author relationship too personal right out of the gate) A friendly rapport is great but not too friendly - or personal......just my opinion. -Trying to “sell” me on the book by including dozens of reviews by people I’ve never heard of. Short review snippets are ok but neither of us has a lot of time to read emails all day so clear and to the point works best with me. 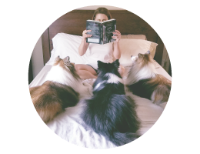 -Promising high traffic or cross promotion if I review a book, host a guest post or author giveaway. That's not how I choose what to read or feature on my blog. If I read a book or host an author it’s because I find the book/author interesting. Traffic is nice but that’s not even close to a deciding factor. - The “Bloggers are the greatest thing ever – please review my book” mass market email. I appreciate the sentiment and I know it takes time to write individual emails to everyone but those types of requests take too long to read and don’t really tell me anything about the author or their book. A simple thank you for your time & maybe “I appreciate what you do” at the end of an email would be a better approach. Bottom line. I don't have time to read and review every book that I want to. I REALLY wish I did. A nice cover will catch my eye. A request that is polite but informative *about the book* - one that shows the author paid attention to my review policy will grab my attention more than one filled with pleading or warning me that I’m missing out on something great. I absolutely HATE sending rejection letters for review requests. Especially debut or self pub authors who take a lot of heat these days. I want to give every book and author a chance. I try go through all the requests once a week. I find almost all authors appreciate a response even if you aren't going to be able to review their book. They took the time to reach out so I try to be respectful of that even if I can’t get to their book yet. There have been many requests that I turned down but the author was so kind about it that it stayed in the back of my mind and I'll buy the book if I happen to see it on Amazon etc. months later. Goodwill goes a long way. I'm sure this works both ways in how we treat authors. Monday – May 7th: Comments. The holy grail of blogging success! What type of posts do you leave comments on? How do you try to encourage more comments on your blog? Do you respond to people who leave comments on your posts? How do you handle negative/spam comments? Do you use captcha? Monday May 21st: Memes. Love em or hate em? How many do you participate in? Which kinds do you like best? Do you feel like there are too many? I agree with the sentimentality thing. I'm really turned off by authors who do that, because getting personal makes it more difficult to speak honestly about the book. And I strongly dislike mass e-mails asking me a book-ish question like books I'd recommend when I haven't reviewed or know that author at all. And the rest of the e-mail is links to how to get a review copy of their newest book. Even if an author skims my policy, but mentions SOMETHING, ANYTHING relevant to it, I appreciate it and am so grateful, because so rarely do I get personalized or acceptable requests. I actually cannot write rejection e-mails. Too sentimental. I add on my policy that if I don't respond in a certain time-frame then I am probably unlikely to be able to review their book. Cool post! This is definitely a topic I can go on and on about xD Probably should have just made a blog post on it! I have a standard rejection email but then I personalize it to each request. i keep it really short and to the point but I hate doing it. That's a good idea to add a time frame to your policy. I had never thought of doing that. Like I said above - it hadn't occurred to make that part of my policy. Such a great post and I think I need to update mine. I admit I have gotten lazy and don't respond back to all the pitches. I have become more picky over time with review requests. I even turned down that Bromance book that you reviewed on the blog because I didn't have the time. I should add I don't like requests through twitter or author requests through good reads. Excellent point Julie. I know people go crazy getting a pitch on Twitter/FB/goodreads. It's never happened to me so that's why it's not in my post but that would never work for me. I would just ignore those. Great post Karen! I agree with you that getting too personal right off the bat makes me uncomfortable. Great idea from the other commenters that they only respond if they are going to accept a request and they put that in their review policy. I love the idea of keeping a folder for review requests that you might be interested in for the future. For me, showing that my review policy has been read goes a long way. I have received a lot of requests saying "based on what you have been reading I know you will love my book" and then after reading the blurb I find that it clearly falls into on of my "will not review" categories! Great topic this week! :D Thanks for sharing!!! Brilliant post, I really enjoyed reading it and agree with most of what you said! I don't do rejection emails, though. I did write a polite rejection once and the author would. not. let. it. go and kept emailing me trying to persuade me to read it. Why an author would want me to review a book I have no interest in, I don't know but that experience put me off sending a ''no'' response. I really ought to put something about that in my review policy, though. I LOVE it when an author personalizes the email. My name is freely available on my blog so I wish people would stop referring to me as ''Pocket'' or ''Blogger.'' =S I don't even give those ones a chance. And if they haven't looked through my blog, I'd appreciate them not pretending they have. I had an author compliment me on the reviews and interviews I've posted on my blog but... I have never posted an interview there. Huh. Anyway wonderful post and topic! That's so horrible. And Dear Author - it doesn't work! I had one the other day who was polite in their response but reminded me that I'm missing out on a great book. For some reason that irritated me. Oh - the "pretend" I read your blog email! lol I get a lot of those - they just go straight to the delete folder. Great post, Karen--it's always interesting to compare notes on this sort of thing. Like Nicola, I actually don't send reject notes either, for the exact same reason, although it's nice to hear that you've had some positive experiences come out of that. Mass queries irritate me too, or when I'm pitched something that I obviously do not review. I would add one more thing, something I saw somewhere else that I actually agree with. If I've written a great review of your first book, it's always appreciated if you offer the second book in the series. I think authors sometimes forget that the amount of reach we have as bloggers far outweighs the fact that they would be saving another sale--although in my case, that's not even the case, since I often will buy the book anyway if I love it, either for me or for friends! And the amount of goodwill that generates is enormous. I've always gotten a polite "thank you for responding and if you change your mind let me know"
That would be a total turn off if the author kept trying to persuade me. I hope they understand that doesn't work and will put them on the I will never read their books list. Where a nice response will stay with you when you do have some space available for reviews later. Great subject, Karen! To be honest, I have turned out all review requests lately. Frankly, I just don't have time. If I'm very going to put a dent in that giant pile I call a bookshelf, I must have some self-control. It really irks me when people who haven't read my review policy ask me to read/review their books. If you don't have the time to read my fairy specific review policy, why would I want to read your book? Sheesh! I love all these topics you pick for this meme. I just created my review policy and am hoping it gets read. I get so annoyed when I get requests for genres that I do not nor have ever read. I do state in my review policy that I may not respond to every request but I will get back to you if I am interested. I started blogging for fun and I want to keep it that way. 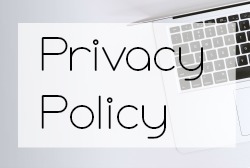 Having a policy doesn't always weed out everything but it's still a good place to start and at least you have something you can say you've based your decision on. Great answer. Rejections are so hard. I cant think of any more ways to politely decline a book. I note that if I don't respond quickly, I won't be reviewing the book. And I also state that i can choose not to review a book once I start reading. There are lots of great ideas shared here. Thanks! I got a lot of good tips from this one and will probably update my policy again. Oh yeah, that mass e-mail is so annoying. It's hard to believe it works on anyone at all! I'm going to bookmark this and go back and read all of these posts when I have more time. I did read Smash's post and I love the idea of a google doc for requests...I might have to do that when I have more time, lol. Maybe next bloggiesta, lol. I just recently added I will no longer accept self-pubs for review. Of course I still get the requests, lol. It's just that I haven't read a good one in an very long time...I've DNF'ed way too many in recent times. Back when I was open to requests I was terrible at responding to emails in a decent amount of time, even worse when I was planning on rejecting the request but all of my rejection emails never receive a response which I don't mind, it's better then getting angry responses o.o but then it also leaves me to wonder if I hurt someone's feelings or if they've just moved on. I hope the latter. Your article is superbly awesome. I’m so satisfied with the information. I was searching this topic,Thank you so much, please keep writing such articles. The End Of TheWorld Is Here!